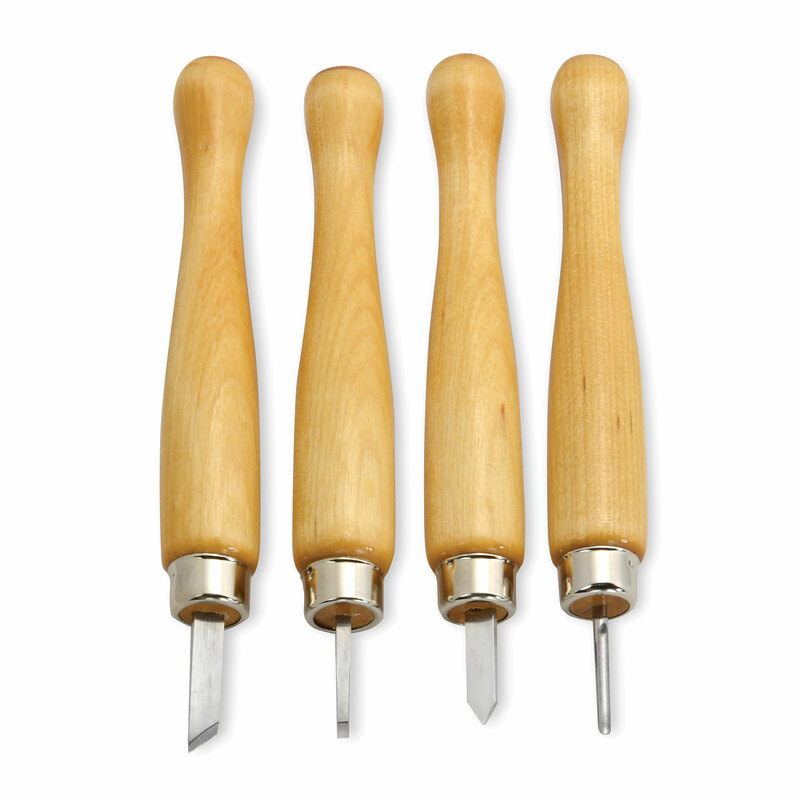 4-piece Mini Turning Tool Starter Set is made of the finest quality high carbon tool steel, carefully ground and polished with nicely turned and lacquered 5" hardwood handles. Great for making miniature lathe turnings in soft metals, wood and plastic. Excellent for jewelry work, dollhouse miniatures, wooden toys, military models, railroad models and furniture finials. Set includes 1/8" round nose, 1/4" skew, 1/4" parting and 1/8" square nose. Rockwell 58-62. Made in USA.